If you looked out your window and saw a hurricane coming, would you cancel your house insurance? Of course not; that would be foolish. We are content to pay for house insurance for most of our lives, yet very few of us have actually experienced a fire or a major disaster where we had to use the insurance. We are comfortable with paying the premiums every year in order to avoid a catastrophic loss. 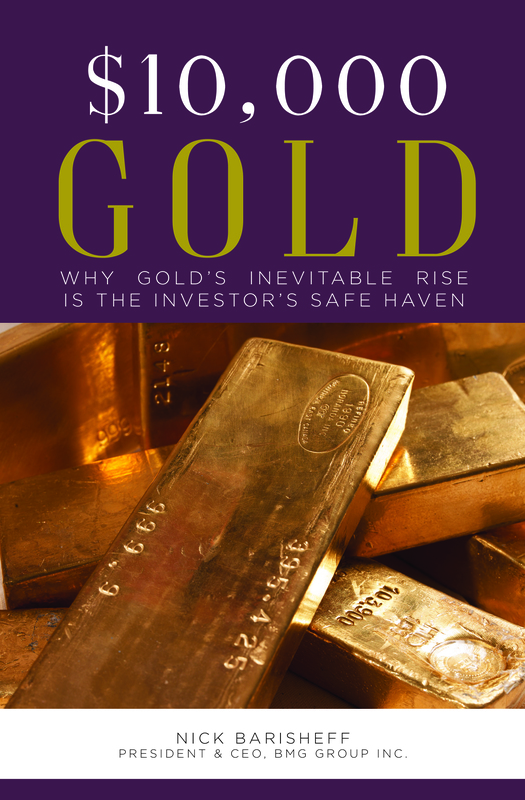 Owning gold is tantamount to owning an insurance policy on your investment portfolio. Depending on how you hold it, you may not have to pay premiums and unlike cash, in the long term it increases in purchasing power. The capital appreciation is many times greater than the minimal storage costs. It is like an insurance policy that allows you to put the premiums in your own pocket. Most insurance policies are expenses, and unlike precious metals, are dependent on the insurance company staying in business. How much of your money has been spent in premiums for your car and house insurance over your lifetime? And what is there to show for it if you’ve never made a claim? Gold is like a portfolio insurance policy with no premiums to pay. The reason gold acts like insurance in a portfolio is that, historically, it is the least correlated asset to traditional financial assets like stocks and bonds. This means that it tends to move in the opposite direction to stocks and bonds. While gold has an excellent record as portfolio insurance, it is not 100% guaranteed to protect against short-term equity downturns. It is, however, ideal as long-term (three years or more) protection. Gold is complex and has many attributes. It is a coveted precious metal, because it is scarce, and difficult and expensive to mine. Chemically, it is stable, portable and easily divisible. The fact that it is scarce, collectable and easy to split into various denominations means that it makes sense to consider it as money, rather than a commodity. It has been used as money for 5,000 years, with the first gold coins being struck around 550 BC. Some see gold as an industrial commodity, and trade it, and others know that it is money and is meant to be held, not traded. Central banks understand this, and South East Asia certainly sees the value of holding gold. According to the World Gold Council, “while global consumer demand for gold has increased nearly 50% over the last decade or so, demand for gold in South East Asia has increased by over 250% during the same period.” China is driving most of that growth in demand. While some people believe gold is no longer money but an archaic relic, they fail to comprehend that: central banks list it on their balance sheets as a monetary asset; it is traded on the currency desks of all the major banks and brokerage houses, not on their commodity desks; and it is referred to as honest money throughout the bible and in most religions. 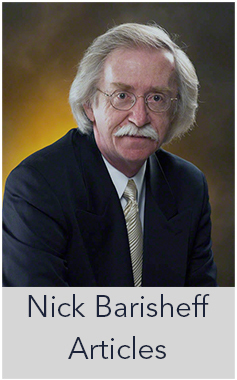 For 12 years I’ve been watching those who like to buy and sell gold on the markets, and I don’t believe they can trade it effectively. If you are going to trade in gold, then trade paper gold (derivatives, puts and calls), and hold your physical bullion. In fact, now is not the time to sell gold, even if you wanted to use it for trading on the markets. Gold has been in a correction for the past three years against stocks and bonds, but that trend is poised to reverse. The stock market is dangerously overvalued, policy-driven low interest rates are coming to a close, the Eurozone, the UK, Japan and even China are struggling, and any of a number of black swan events could change the global economic landscape at any moment. Artificially low interest rates have kept bond yields (and junk bond risk) high, but with no further room for interest rate reductions, the bond bull market is coming to an end. While the Fed has been busy inflating the latest bubble, investors have been blindly following mainstream momentum, and borrowing record levels of margin debt into the overvalued stock market. 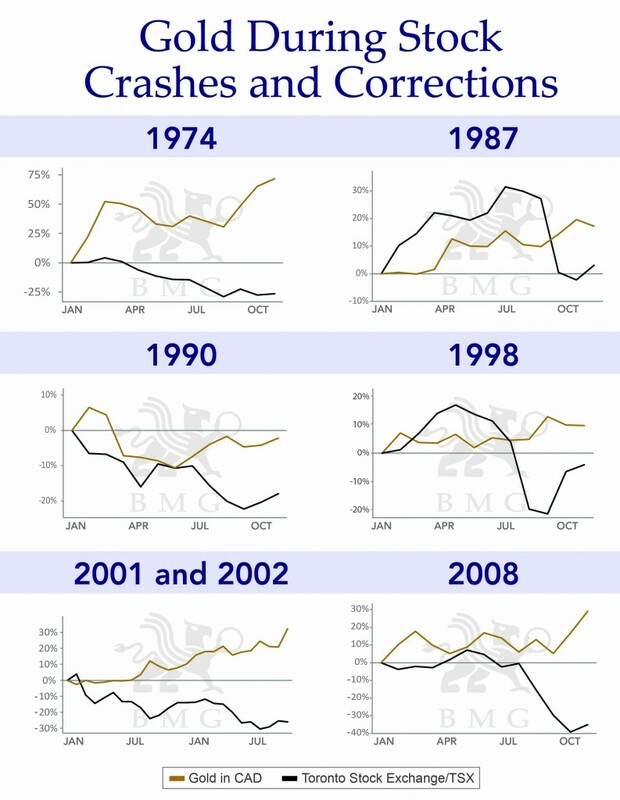 What will you do when a massive correction occurs? 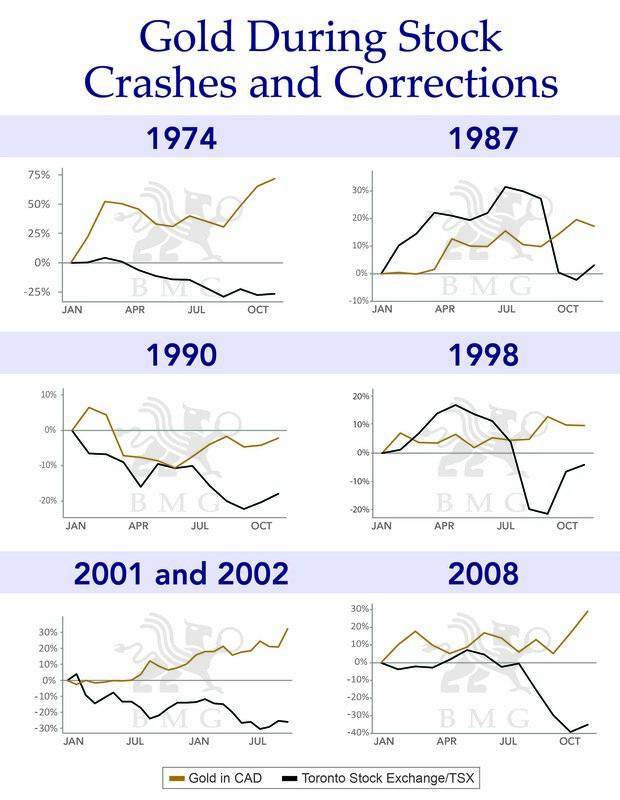 When that correction happens, gold will go up as financial assets come down. 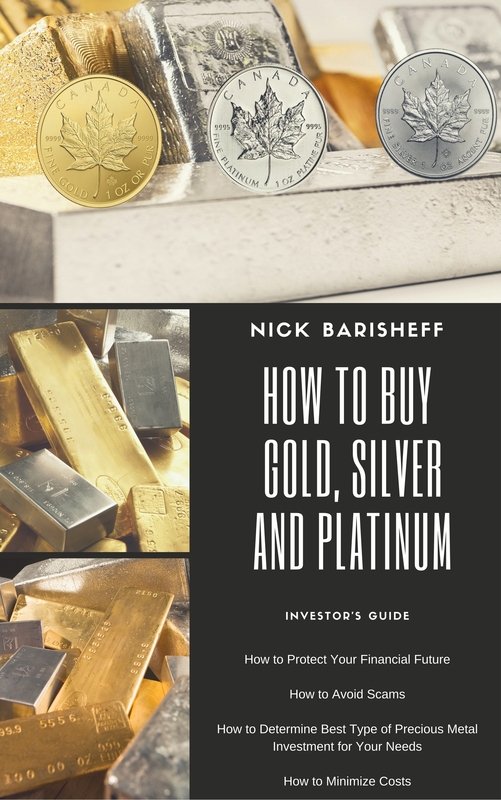 If you hold physical bullion in your portfolio, even just 10% to 20%, you can reduce your risk significantly and improve returns. This is the time to rebalance your portfolio by reducing equity holdings and fixed income holdings, and increasing gold holdings. Evidence of stock market overvaluation is clearly illustrated using The Buffet Indicator shown above. By looking at the total market values relative to US GDP, one can see that stocks are well over the 80%, or fully priced, mark. During the dot-com bubble, the Market Cap to GDP ratio spiked to almost 160%, during the 2008 market collapse it spiked to almost 120%, and today it sits at around 132%. The investor who gambles in this market is ignoring liquidity risk, and the risks associated with unsecured debt. The bond bubble has already begun to burst, with investors all trying to sell at once, triggering a drastic fall in bond prices as yield rise. And while long-term bonds have been in a bull market for the past 30 years, the overvaluation of the bond market was so severe that, according to the Washington Post, “80 percent of fund managers think bonds have become badly overvalued.” Trillions of dollars (up to 25%) of European bonds have negative interest rates right now, ultimately charging investors interest to hold the bonds. This strategy makes no sense for the investor, and surely cannot last. Robert Wenzel of the Economic Policy Journal, commenting on the impending fall of the bond market, stated, “Anyone who holds the view that the Fed will not soon raise interest rates, and soon, fails to understand the nature of the developing crisis. It will be led by a collapse of the bond market.” That collapse has already begun. The goal for including gold in your portfolio is long-term wealth preservation and diversification. Physical bullion is negatively correlated to stocks and bonds, and paper currencies have lost purchasing power against gold over time.